From the day you arrive at college, practically all you hear about is the need to choose a major. Your whole identity in college is very often linked to your major. You are asked to make this very important decision by the end of your sophomore year and you are expected to complete the requirements for at least one major in order to graduate. In many cases, the people you associate with, the professors you get to know best, and even the clubs you join while you’re in college often revolve around your major. The beginning point for choosing a major is self-assessment. It is much better to start with yourself and to search for a major that fits you than to start by picking a major and trying to fit into it. If you know what you are good at doing, what you enjoy doing, and what you feel is important in life, then you are on much firmer ground in finding a major that fits you. • What are my hobbies? • What were my favorite high school and college courses? Which ones did I excel? • What do I hate doing? • What are my strengths? Weaknesses? • What are my intellectual interests? • What do I see myself doing in a future career? The self-exploration needed to answer these questions may well be one of the more important parts of your college education. You will discover a lot about yourself over the next few years. Visit our Career Planning & Exploration page and learn how FOCUS can help you begin the self-assessment process. The College also requires each student to major in at least one subject, called a discipline, to develop some expertise in at least one subject, as well as to develop the mind in advanced intellectual skills. Majors are best chosen on the basis of interest in the subject and aptitude or ability to do well academically in the subject. Look back at the subjects you have taken in high school and college and identify the ones you have enjoyed taking the most or the ones you would like to study more in depth. Then consider which subjects you have done the best in academically. Those subjects that you have both enjoyed the most and done the best in academically are usually the best choices for a major. Majors that do not fit your interest or aptitude are usually not good choices. 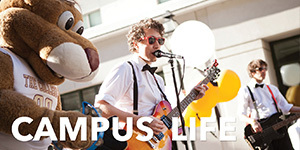 In a liberal arts college, choosing a major means choosing an academic subject that you would like to study in depth. The reason a major is so important is because it is an academic requirement for graduation; not because it will determine what career or occupation you can go into. 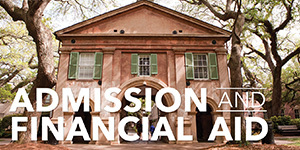 Do you even know what your major options are available at the College of Charleston? If not, take a look at the list of majors and minors to help you explore the possibilities! Also, don’t forget to talk about your interests and major options with your academic advisor and/or career counselor; they can be invaluable resources as you work to identify the majors that suit those interests, academic strengths, and/or potential career goals. Consider a second major. If you are having difficulty deciding between two majors, declare both of them, or at least take as many courses as you can in both. You will need to complete the requirements for at least one of them to graduate, so even if you are not able to finish the requirements in both, you will still have understanding and knowledge in two major subjects to offer. Pursue a special interest or hobby. 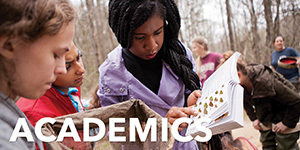 Select one of the many interdisciplinary studies programs at the College such as International Studies; Jewish Studies; Women's & Gender Studies; Environmental Studies; Arts Management; International Business; African Studies; Communications; Crime, Law, & Society; Data Science; Global Logistics & Transportation; or Film Studies. If none of the existing programs fit your particular interest or concern, create your own interdisciplinary program by combining other courses. Spend a semester or year abroad at another campus. It is possible to spend a semester in Washington or go to a foreign country or attend another U.S. college. Careful planning is required to do this because of transferring credits, but it can be a very meaningful and exciting addition to your education. Contact the Center for International Education for additional information. Develop an occupations-related skill. Supplement your core requirements and major courses with electives that are more applied and help you develop a skill area. Courses in accounting, computer science, acting, drawing, playing a musical instrument, technical writing, journalism or a particular sport can help you develop such skills. Prepare for graduate school. Most graduate and professional schools do not require a specific major for admission into their school. You do not have to be a science major to go to medical school, a political science major to go to law school, a business major to go into a M.B.A. program, or a psychology major to go into a clinical psychology program. You usually do need, however, to have a core background in these subjects to be considered for admission, so by supplementing your major with core courses in a particular subject you still have the same opportunity to be accepted into graduate school. Most medical schools, for example, recommend that a student have a year of biology, a year of chemistry, a year of physics, a year of organic chemistry and calculus to be a strong candidate for admission. The relationship between a liberal arts major and a career is not nearly as direct as most people think. 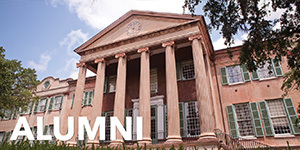 While majors like accounting, computer science, education or communication can be directly related to particular career fields, most majors at the College of Charleston provide general intellectual training not directly related to specific careers. The basic knowledge and skills developed in a major can be applied to a number of different career fields. Liberal arts majors do not restrict graduates to a few career choices; rather, they allow for a number of different career options. Choosing a major, then is not the same as choosing an occupation or a career. Career choices should be based on a genuine interest in the work and on having the abilities or skills needed for the work, not necessarily on a particular major. Career choices are also dependent upon good career information and the best career information usually comes from personal research and work experience outside the classroom. When studying a particular subject, you learn more about the theories and principles of the subject than about the application of the subject to work. Knowledge about the application comes from working in the field or reading about the field or talking with people in the field. Majors do relate directly to careers in one significant way; they help with the further development of individual skills needed in a career. English majors, for example, usually develop excellent communication skills, especially writing skills. Mathematics majors develop good analytical and problem-solving skills; history and science majors develop research skills, etc.. Jobs and careers are not so much determined by majors, but on what you can do and what you want to do. You are not usually hired on the basis of your knowledge of the major, but on the skills and interests you have developed by studying the major. For examples of the wide variety of careers associated with skills learned through various majors, check out What Can I Do With This Major? Career decisions require not only more specific information about a career field and the personal skills needed to be successful in a field, but are more complex and often need to be made several times during a lifetime. According to the experts, the average American is making 7-10 jobs changes and 3-5 career changes in a lifetime. Decisions about an undergraduate major are usually made once or twice during college only. A four-year undergraduate education basically provides a foundation of knowledge and skills upon which sound career decisions can be made throughout life. Please visit Academic Advising & Planning Center’s website for information about declaring your major via the Program of Study Management (POSM) system online in MyCharleston. Choosing A Major Workshops. Each semester we hold multiple Choosing A Major workshops jointly with the Academic Advising & Planning Center. During these hour-long workshops, we cover myths & facts about being “undeclared”, discuss the difference in choosing a MAJOR vs. choosing a CAREER, suggest steps for making your decision, and provide tools and resources to assist you in the major and career planning process. Please check our Events page for more information on dates and times of the workshops. FOCUS. This assessment provides you with personalized career and educational planning information needed to make a well-informed decision. After working through FOCUS you are given a list of occupations that best fits your interests, abilities, and work values, as well as suggesting majors that may coincide with those occupations. 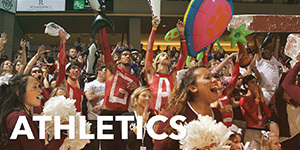 FOCUS is available at http://careercenter.cofc.edu/students/careerplanning.php. What Can I Do With This Major? 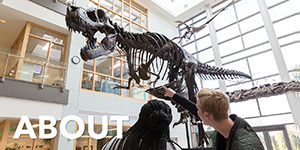 Whether you are exploring multiple majors or searching for information about your chosen field, this site will help you connect majors to careers. Learn about the typical career areas and the types of employers that hire people with each major, as well as strategies to make you a more marketable candidate. Continue your research on majors and careers through the websites provided.